I’ll be honest, there is a bit of faffing about in the prep for this recipe, but once you’re done the rest of the dish is really quick to prepare. 1.) Place the grated parsnips and onion in a clean tea towel or a sheet of muslin and squeeze out the juice over a bowl. 2.) Next, place the parsnips and onion in a large bowl, add the egg, a pinch of salt and pepper. Mix until well combined. 3.) Heat the butter in a frying pan and then gently shape small patties from the parsnip mixture, add to the pan, pressing the patties down lightly. Cook for about 4 minutes on each side or until golden on the outside. 4.) 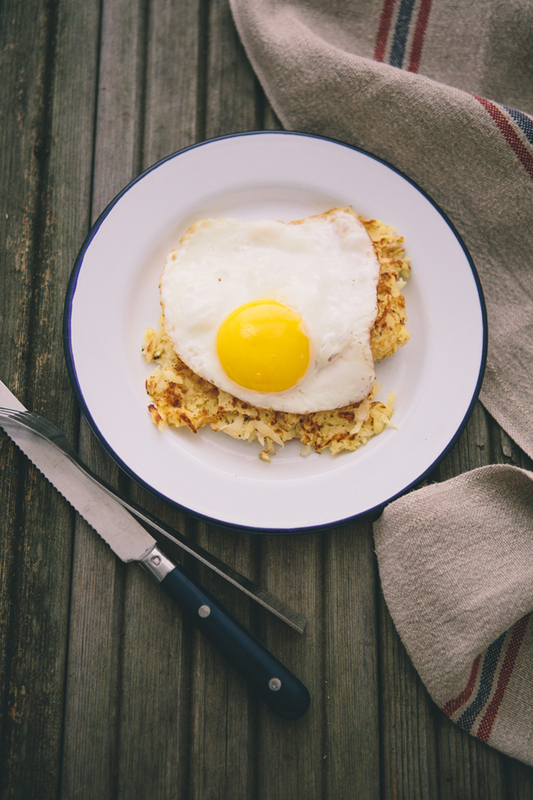 Place the cooked rosti on a baking tray and keep warm on a low heat the preheated oven while you fry your egg. Serves 2 as a really nice weekend brunch.